With more pressure on available land for housing there a been a resurgence in the trend to go up! Only this time its not high rise multi occupancy tower blocks, it is instead three and four story single occupancy townhouses. The imperative to get the most from the limited land available also means that the gardens attached to properties tend to be very small. 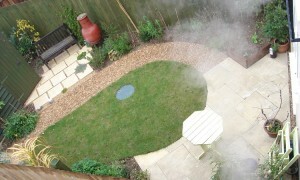 This presents a number of challenges as far as garden design is concerned. Firstly the ratio between vertical and horizontal is complete disproportionate. 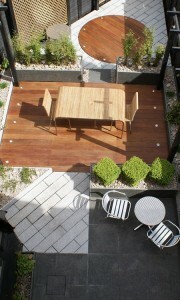 This can cause the user to feel very enclosed and claustrophobic as the building dominates the attached garden plot. 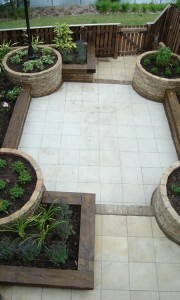 Strong geometry within the gardens design can help to overcome this by keeping the viewers attention at ground level. Depending on aspect it may be that the best place to sit and enjoy the garden is from a position looking back at the house, in this case it is important to include some height in the design between the viewpoint and the house. This will help ease the transition between the two planes. 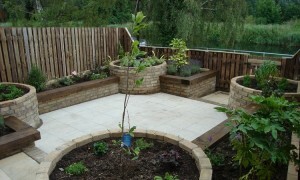 Another challenge is making the most of the available space. 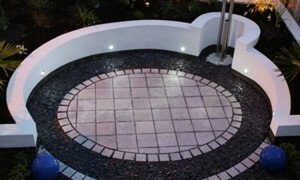 Owners still want to have all the features associated with a garden so careful design and planning to fit them all in is essential. As a general rule lawns are unsuitable because of lack of light throughout the year caused by tall buildings and high fences and because of the more concentrated wear and tear it would get in a tight space. 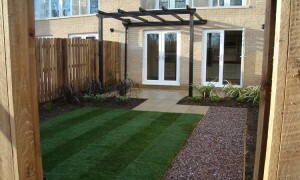 However in recent year artificial lawns have come on in leaps and bounds and is a fantastic alternative in situations where real turf is impractical. Other great products are available to help with achieving the most from a small townhouse garden such as wall mounted clothes dryers which can be collapsed into a compact steel cylinder with just one hand. Often a greater sense of space is achieved by altering the orientation of the garden to run from corner to corner, making the most of the longer axis and allowing for more depth to the sides of the center line.